If you haven’t been in “The Cage” (the upper level of Talpa School’s yard) lately, then you are in for a great surprise. 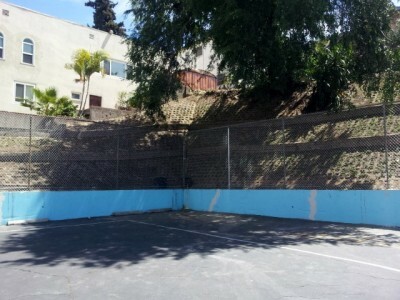 On April 11, volunteers on behalf of Loyola High School, along with Talpa families, students and staff, dedicated hours of hard work to a cleanup of The Cage. The work was part of a community-wide day of service to help celebrate Loyola High School’s 150th Anniversary. 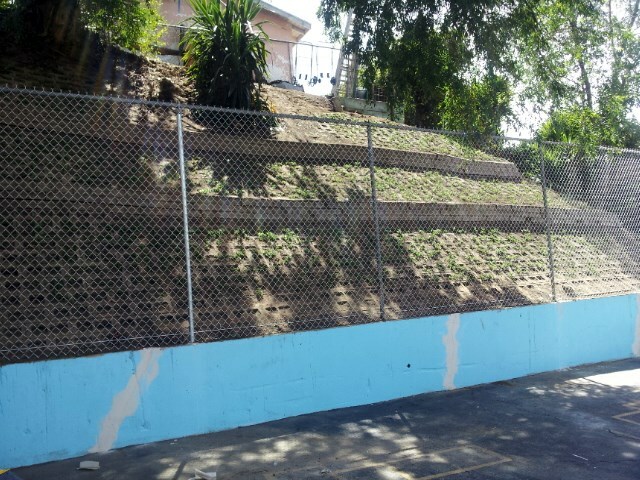 Thanks to the efforts of the Loyola volunteers and Talpa community members on April 11, the wall surrounding the cage received a fresh coat of paint, and the hillside above The Cage underwent weeding and received fresh ground cover. Since the April 11 work day, the project has advanced. 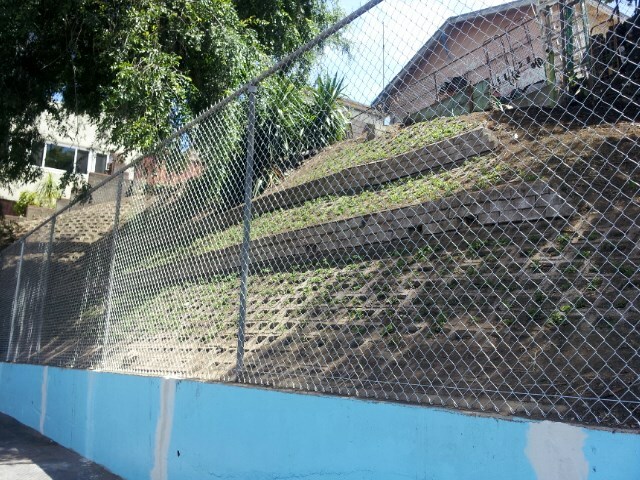 We have replaced the old fence with a new chain-link fence, repaired the cement of the wall surrounding the cage, and completed planting on the hillside. 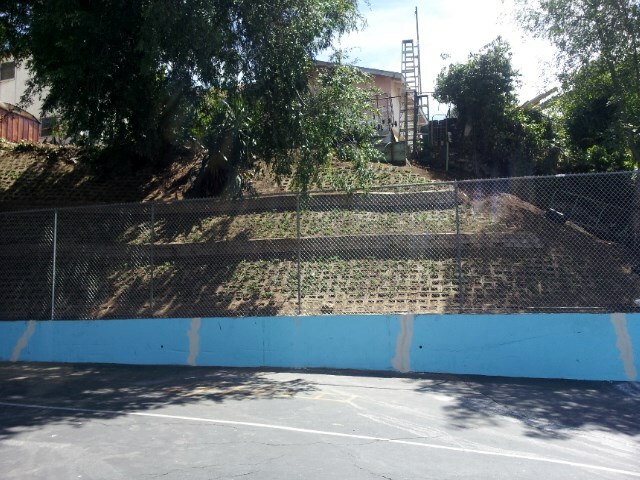 Many thanks to Loyola High School for providing the materials for the repairs as well as their own students and parents to help with the repairs. And many thanks to the Talpa families, Student Council members, VMY members and staff who helped carry out the project. We send a final big thank you to the Talpa parents who prepared food for our workers! We encourage you to stop by The Cage to view the fruits of everyone’s great and generous labor!